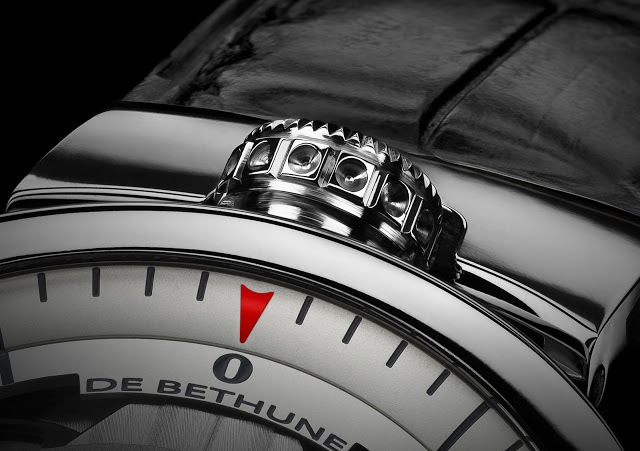 A unique variant of the asymmetric DBS is De Bethune’s contribution to Only Watch 2015, an event the brand has supported since its first auction in 2005. The inaugural Only Watch auction in 2005 had a De Bethune DBS in its line-up, and a decade later De Bethune returns to the DBS for Only Watch 2015. 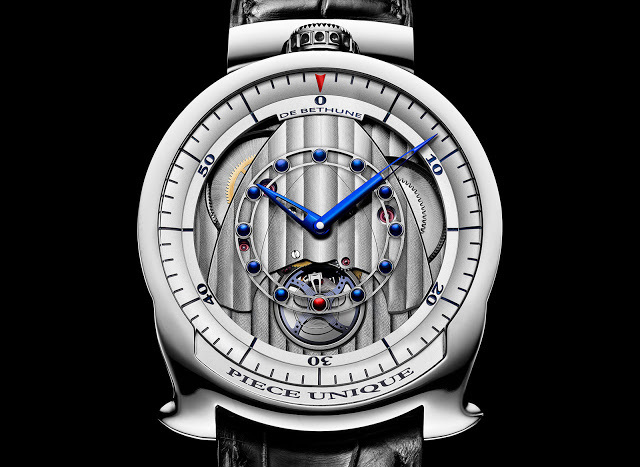 A unique piece made for this event, the DBS 2005/2015 for Only Watch is based on the timepiece that is arguably De Bethune’s first avant-garde wristwatch. The unusual asymmetrical case has the crown at 12 o’clock, with cone shaped lugs for the bottom of the case. It’s in white gold, with the DB2115 movement inside. With no dial, the movement is entirely exposed, revealing the impressive in-house silicon and white gold balance wheel, along with a silicon escape wheel. 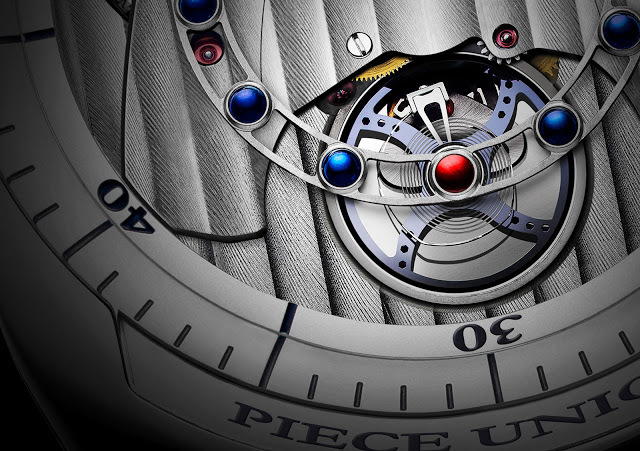 Each of the hour markers is a blued titanium sphere, a recurring element in De Bethune design. “Piece unique” is emblazoned across the dial at six o’clock, as a gentle reminder that this is a one of a kind timepiece. Only Watch will happen on November 7, 2015, in Geneva. Phillips will auction off 43 watches during the event, with all proceeds going to fund research into Duchenne muscular dystrophy.